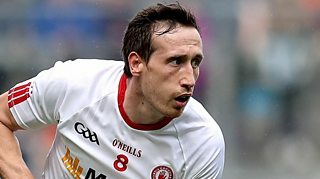 Colm Cavanagh says criticism early in his Tyrone career was "difficult" as he had to deal with unfavourable comparisons with his brother Sean. Cavanagh says his "determination" enabled him to forge his own identity in the Red Hand jersey and manager Mickey Harte says the Moy man has made a huge contribution to the county side. Colm believes Tyrone are capable of beating Dublin in Sunday's All-Ireland semi-final.